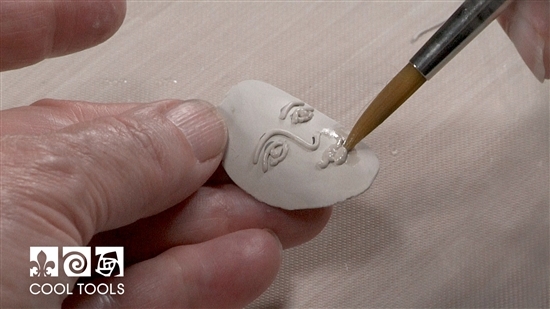 In this video, Lisel creates an easy to create face ring using EZ960 lump clay and syringe. The face is formed on our half round forming tool. She then creates the band, shapes it around a mandrel and attaches the face. EZ960® Sterling Silver Clay CoolSlip Anti-Stick Solution EZ960® Sterling Silver Syringe - 10 gram Drying Form - Half Round - 7"